Welcome to Nazarian.no Feel free to browse our gun-guide. This guide is intended to make you able to recognise small arms. Please visit our News section to find out whats New. The Film clips presentations presented on this site may require plugins for your browser. Common types of files used are QuickTime (.MOV), Macromedia Flash (.swf), Real player (.ram) DivX (.DivX) and General Codec player (VLC), all film files are tagged with apropriate extensions in presentation. Manuals presented on this site may require plugins for your browser. Common types of files used are Adobe Reader(.pdf) all Manual files are tagged with apropriate extensions in presentation. (Click the link for free Adobe reader plugins for your browser). As we have seen more and more American trafic on the server recently, we will work out all weapons to have all measures in imperial system. As well as metric, this however may take some time, so be patience. To View full screen video or to enlarge pictures just dubble click image or file. 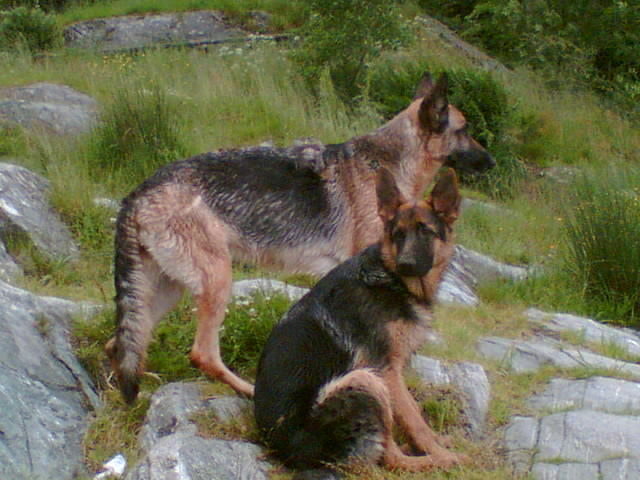 Site dedicated to *FRØYA* In loving memory (Front dog in picture) Born 28/4-2000 - Death 12/6-2006. Allways faithfull, allways on point. Dearest, sleep well. If you enjoy using this enclopydia, please make an donation. Regarding database error on this site due to too much traffic. Please help out by using the Paypal donate button on every page (left hand side menu). This site is Totaly Free for all to use, and unless we are going to make it a Pay site, we need Your help to keep it running smoothly, we do not have the desire to make this another money grabbing enterprise, again please help make sure not everything has to cost an arm or an leg. We will give away one standard Nazarian Para PMC staff T-shirt with every donation over 100 USD. How to? You have to become a Patreon and pay a fee of 100 USD.